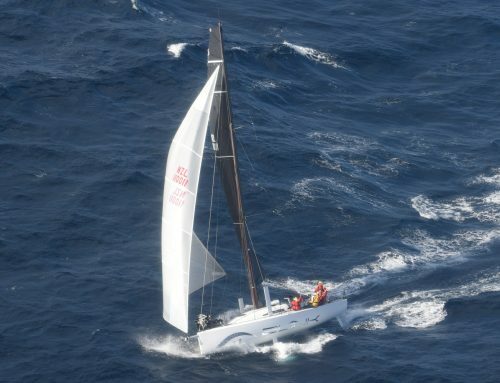 In just a few hours, the Sydney and Auckland fleets racing to Noumea, will be pirouetting around each other on the high seas as they converge. 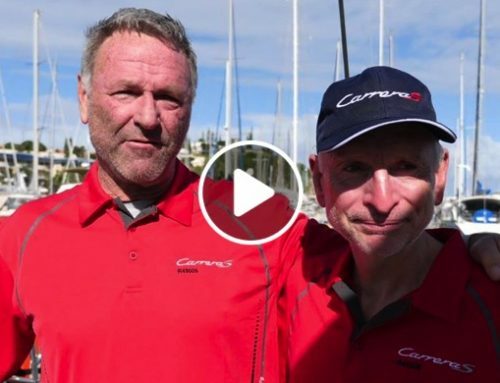 All bets are on in the Race Management Office based in Port Moselle, Noumea, with the Kiwis saying the Kiwis will be first in, and the Sydney Kangaroo folk saying that their sailors are the fastest. Of course we’re all cheering for our own species to come out on top! 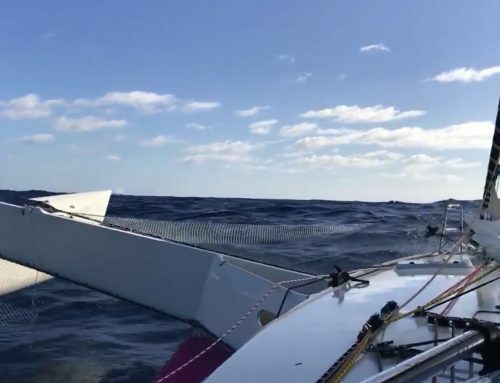 Based on elapsed time predictions, the first Sydney boat will “beat the first Auckland boat by a few hours, but it’s hard to know,” said someone who would prefer to remain nameless. 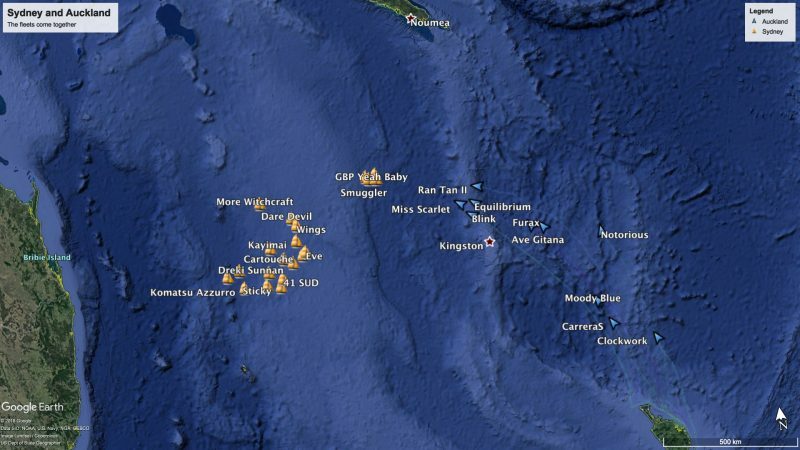 Whatever anonymous Sydney supporter, we have full faith that Kiwis can fly and will be tucked away safety in Noumea before the Kangaroos wake from slumber from the tropical sunshine. The owner of Frantic (Sydney Fleet) is an ex-Wallaby, so is used to bouncing around, however we all know that the Wallabies have lost the spring in their step over recent years. Ran Tan II (Kiwi Fleet) owner is a chicken farmer. There’s no pun for that.